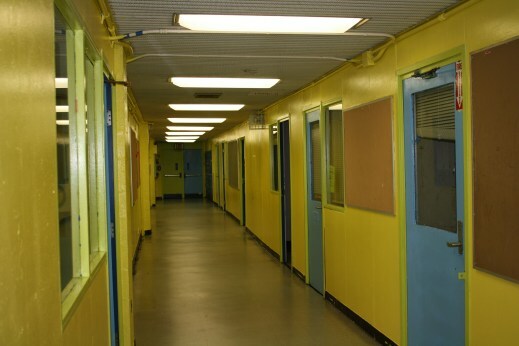 For the past three weeks, fifty or so students from Bushwick Community High School, a district school in Bushwick, and MESA Charter High School, which opens in the same building this fall, have been giving their hallways a Trapper Keeper-style makeover. Today, assemblymen Rafael Espinal (D-Brooklyn) showed up to admire their handiwork. 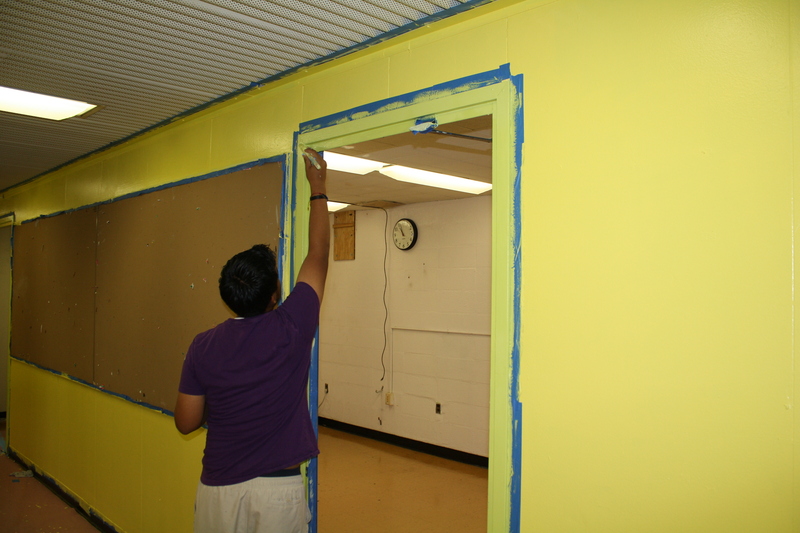 “A fresh coat of paint, chosen by students, painted by students, is symbolic of how I want the school to be,” said Llermi Gonzalez, who over as principal of Bushwick Community last year. Gonzalez wanted to do something special to mark his first time kicking off an academic year, so he reached out to Arthur Samuels, the executive director of MESA. It turns out both men had been thinking the same thing: repainting the school’s hallways. The two schools hooked up with Publicolor, a nonprofit that seeks to beautify and revivify civic spaces through the medium of paint, to bring a burst of bright new color to the schools. And bright is right: as you can see in our photos, the students collectively opted for an effulgent neon yellow hue. Now maybe they should hang up some selfies?